Katarina Mudronova is one of our four exhibitors from the current Photofusion SELECT/14 show. These artists were each awarded a bursary of £500 alongside mentoring from Photofusion staff towards developing and exhibiting new, unseen work. We caught up with each photographer to learn more about the work they produced for SELECT/14 and how they put their bursary to use. 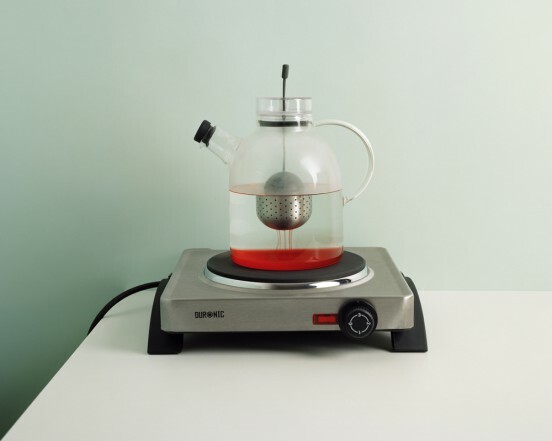 What gave the idea of this project of playful metaphorical still-lives in the kitchen? I came up with the idea after I read the introduction chapter called Tracking Global Flows from the book Anthropology of Globalization by Jonathan, Xavier, Inda, and Renato Rosaldo. My work shows simple domestic objects taking on new and unexpected meanings through the playful metaphor. This series is neither a critique nor a description but rather my reflection on the impact of globalization and how humanity is dealing with this phenomenon. Subject of globalization is huge topic I wouldn’t be able to respond to it as a whole. Instead I am concentrating only on some parts of it through my reflection on selected issues. How did you use the bursary in the production/development of your work? As this project is still work in progress it help me a lot with expenses on the films and final prints.